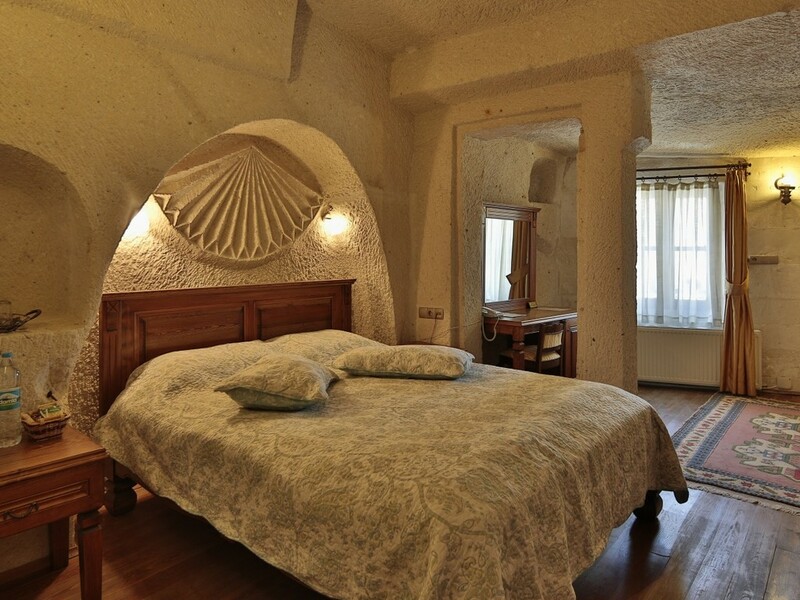 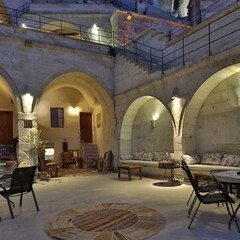 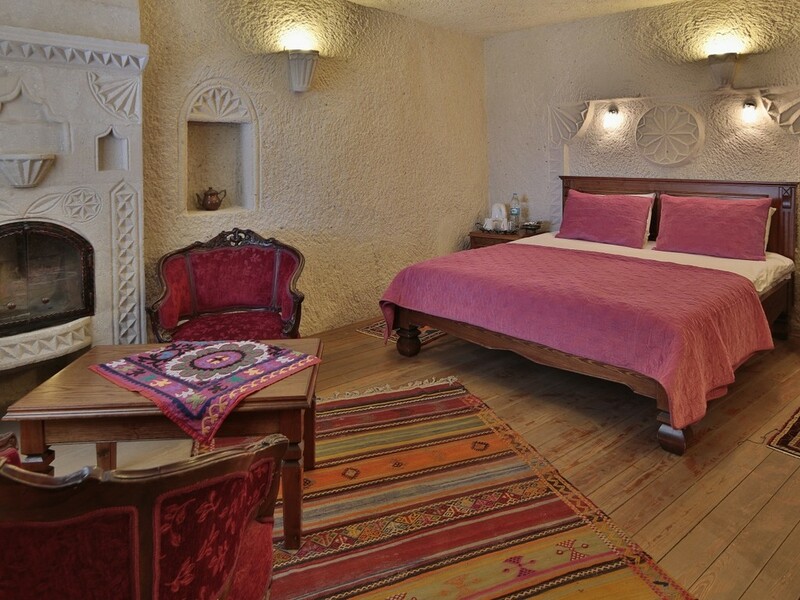 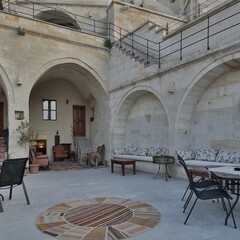 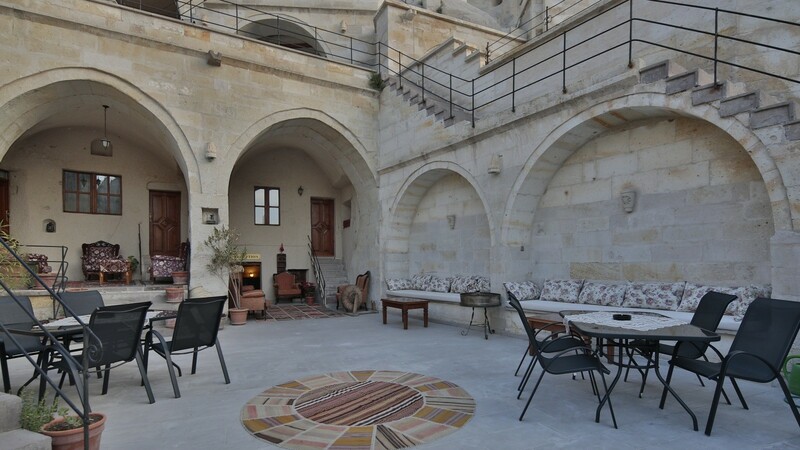 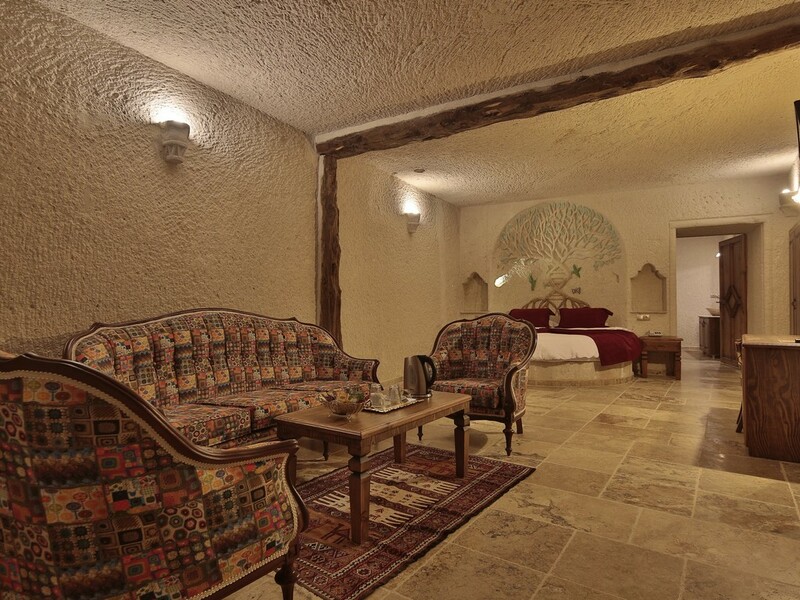 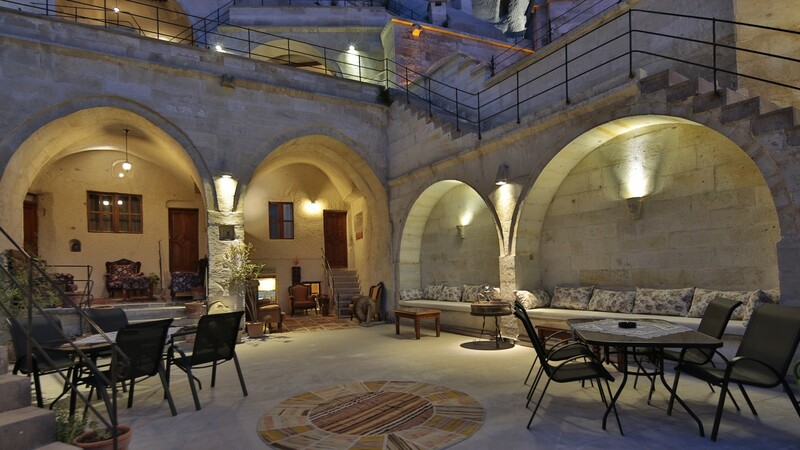 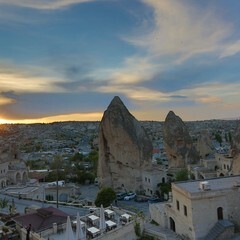 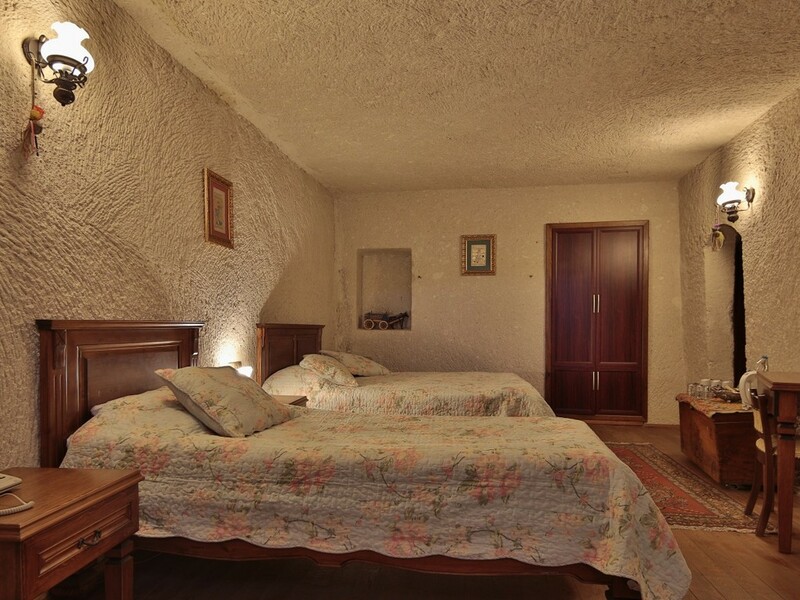 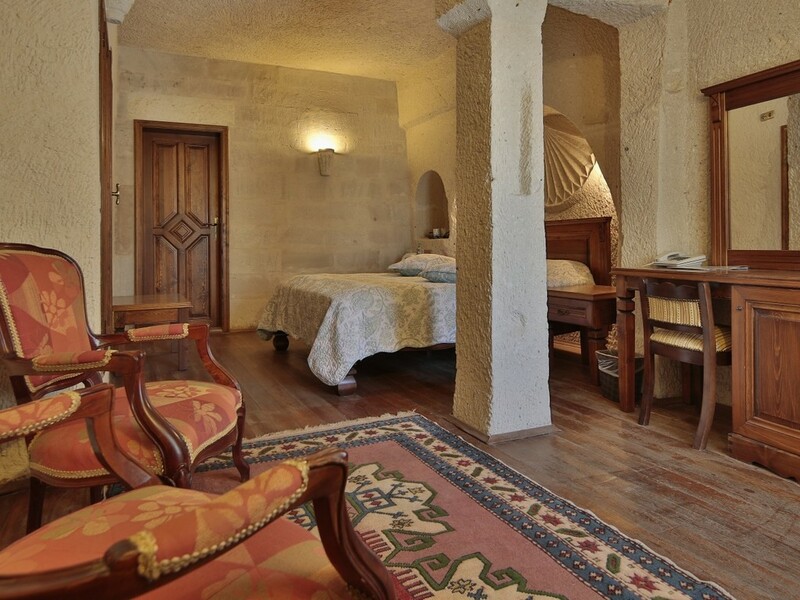 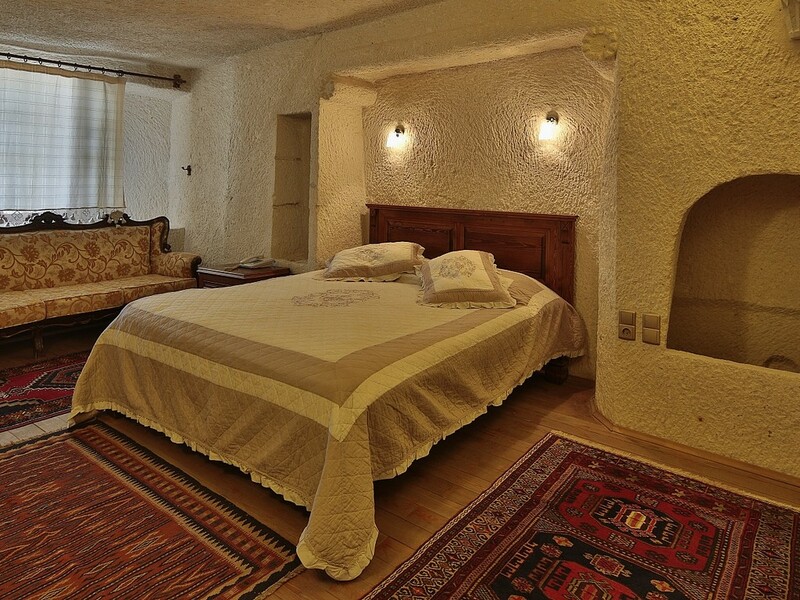 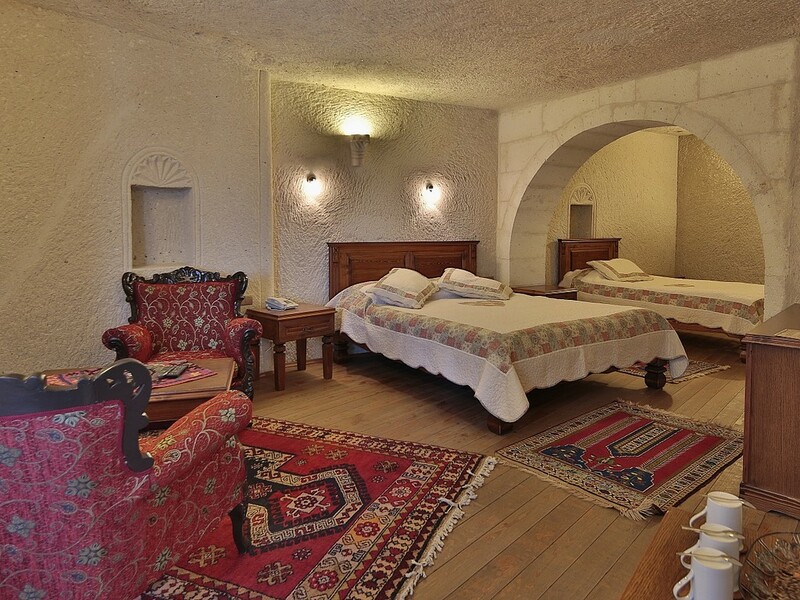 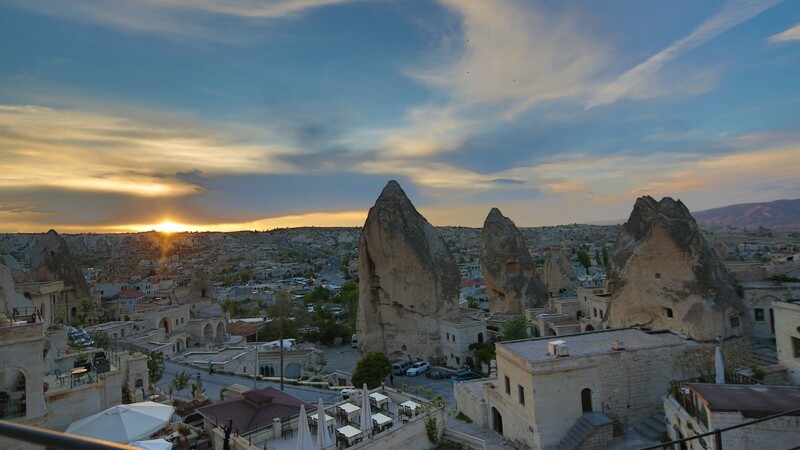 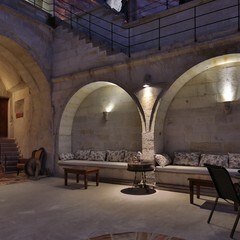 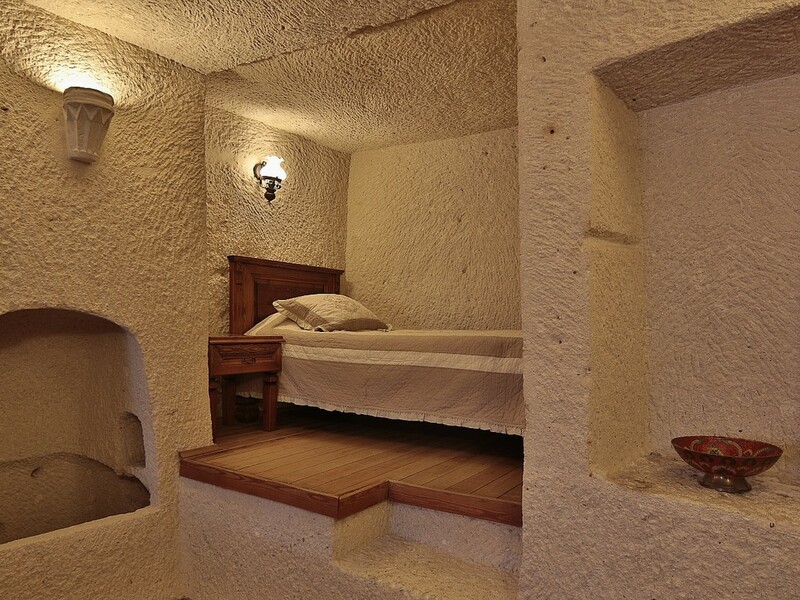 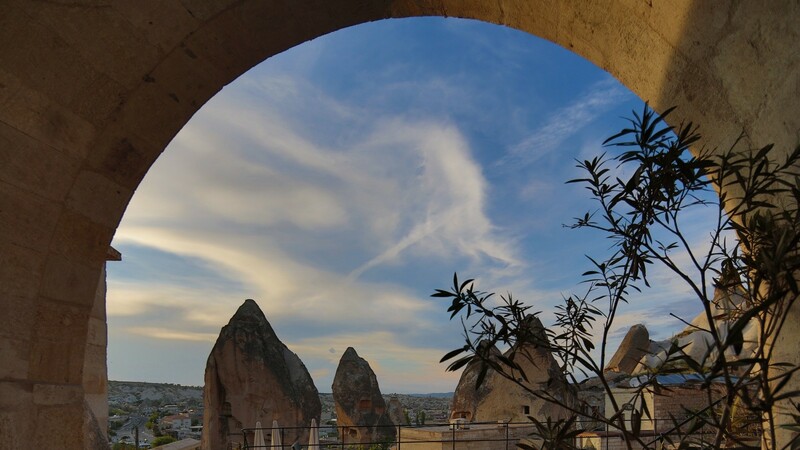 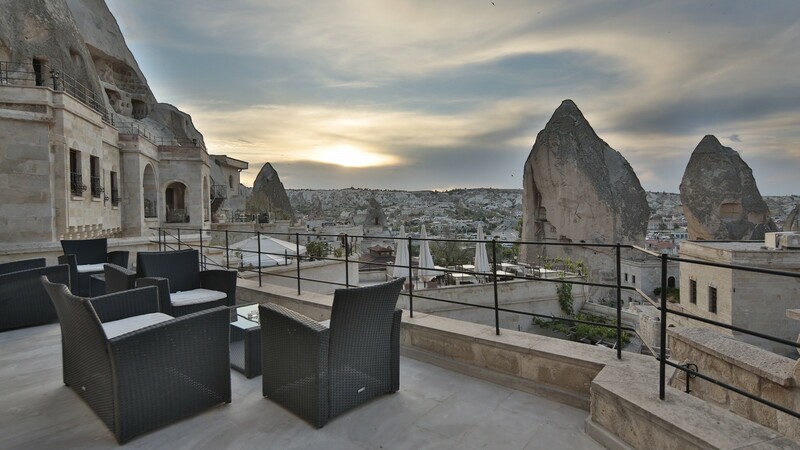 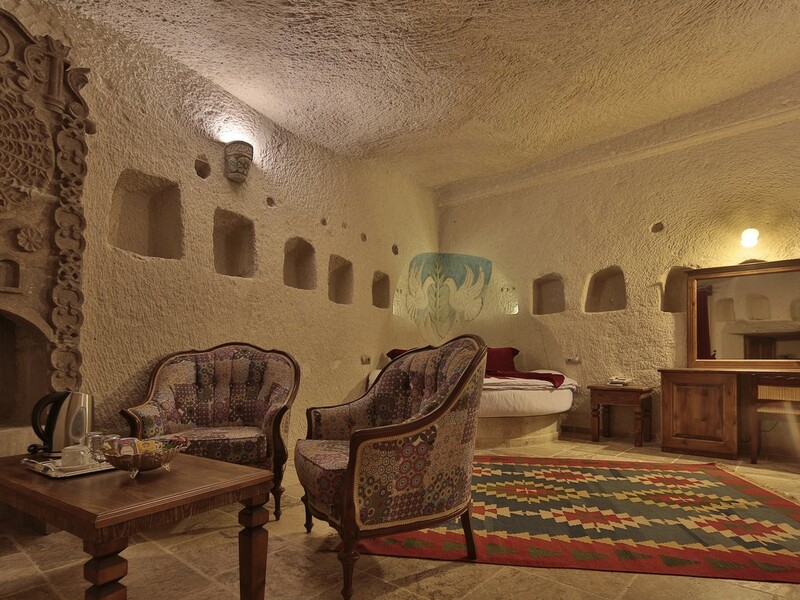 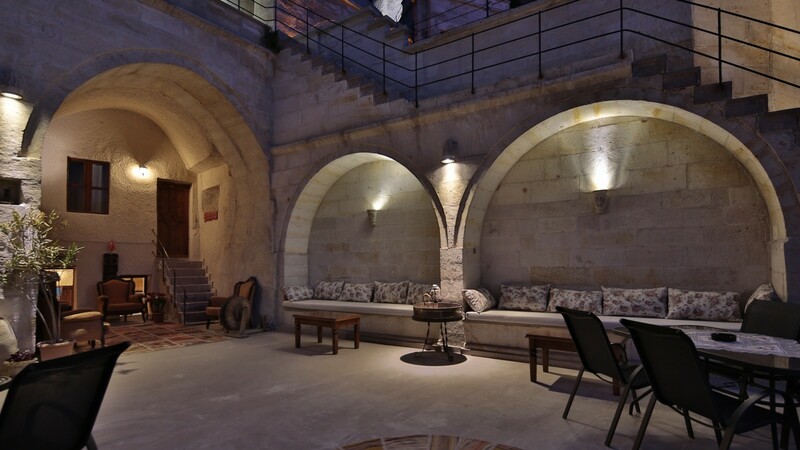 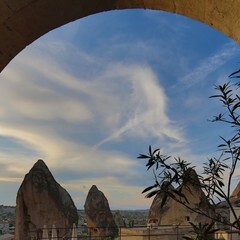 Vezir Cave Suites is a beautiful cave hotel overlooking the Fairy Chimneys of Goreme. 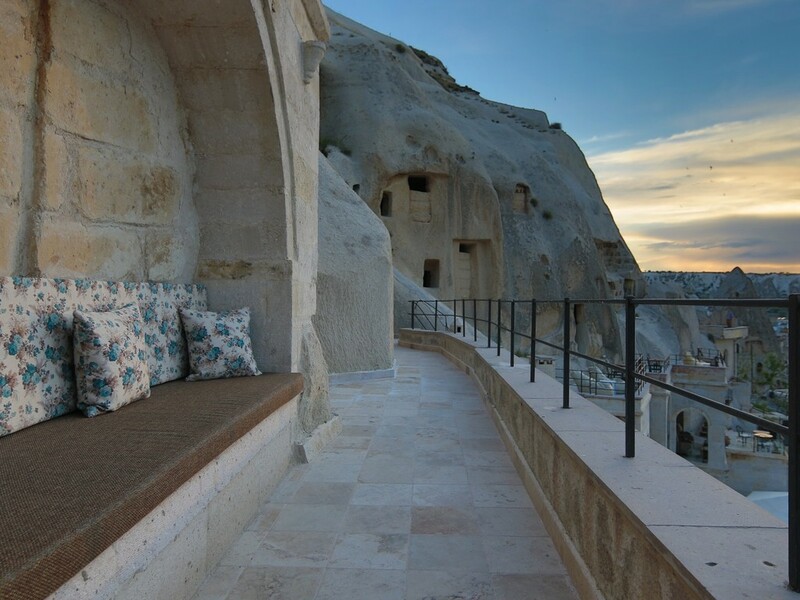 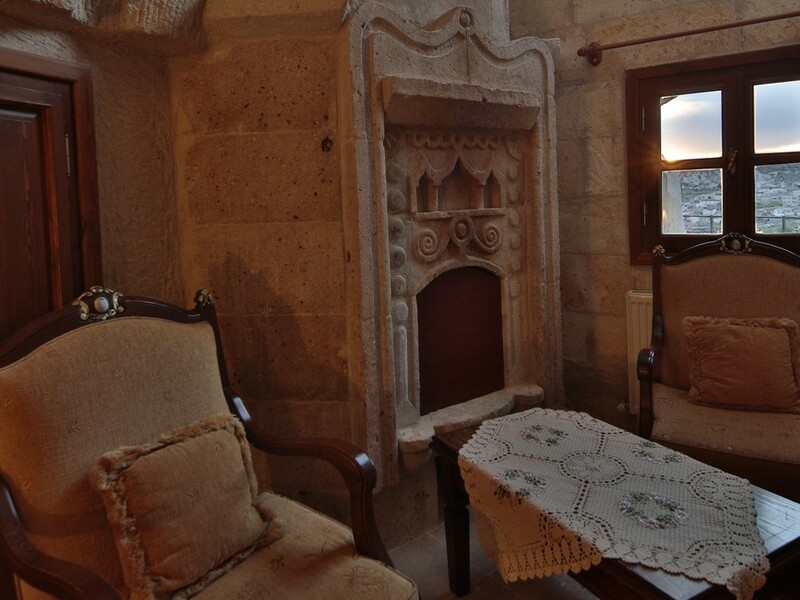 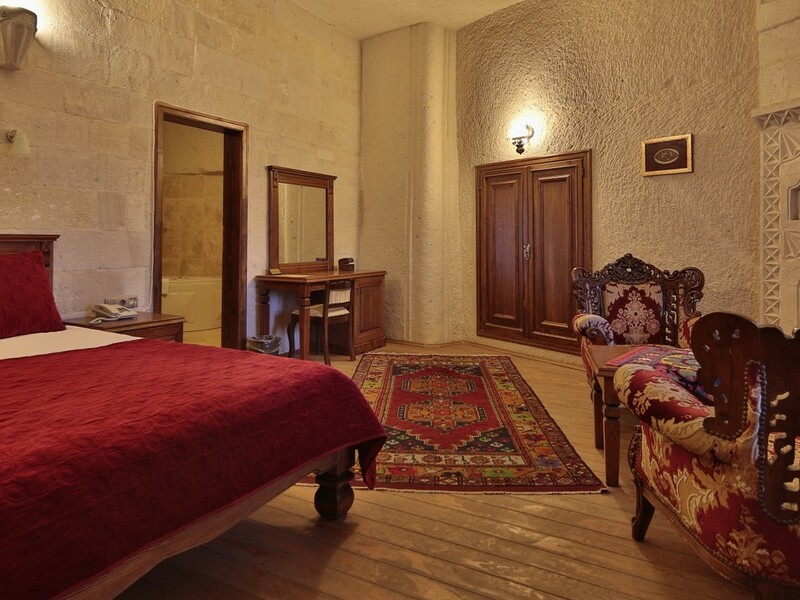 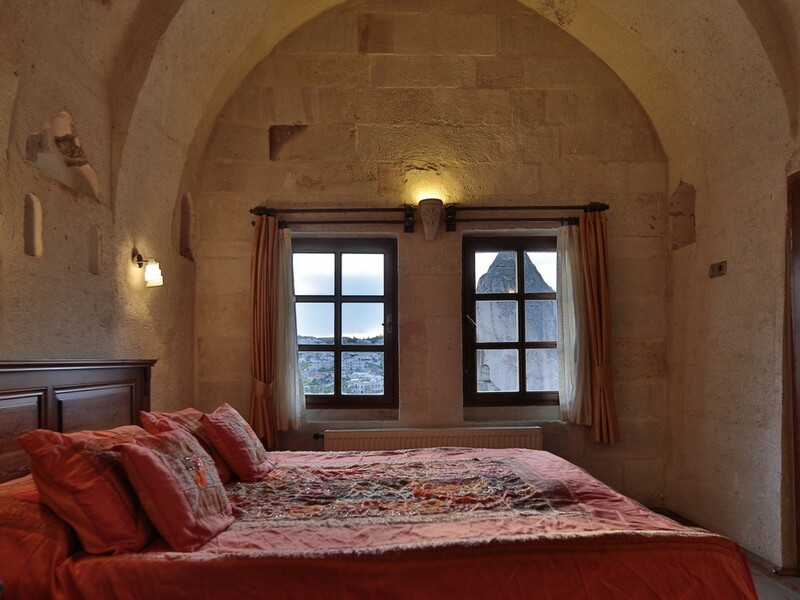 Our cave rooms with their own terraces and balconies allow guests to sit and take in the delightful views of Goreme, Goreme Valley, Uchisar Castle and gorgeous sunset in Cappadocia. 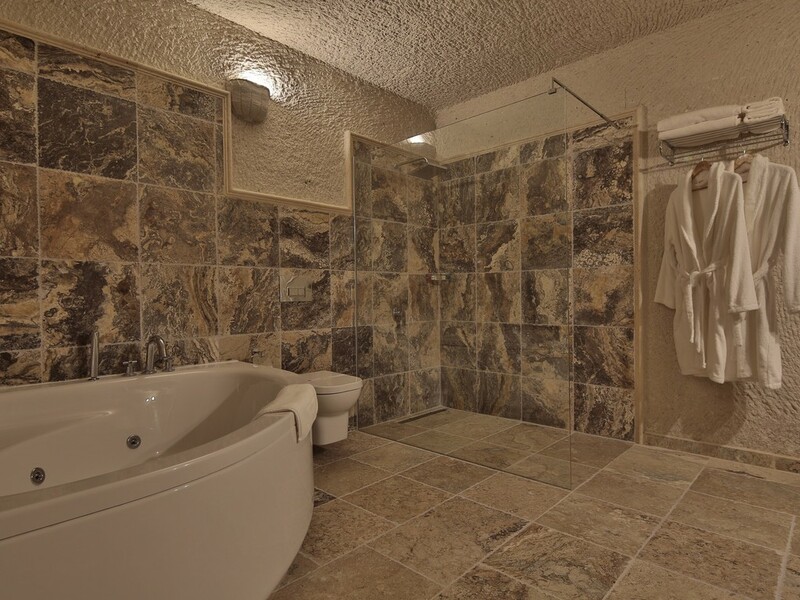 We have recently refurbished and our bathrooms are newly fitted with shower and jacuzzi facilities. 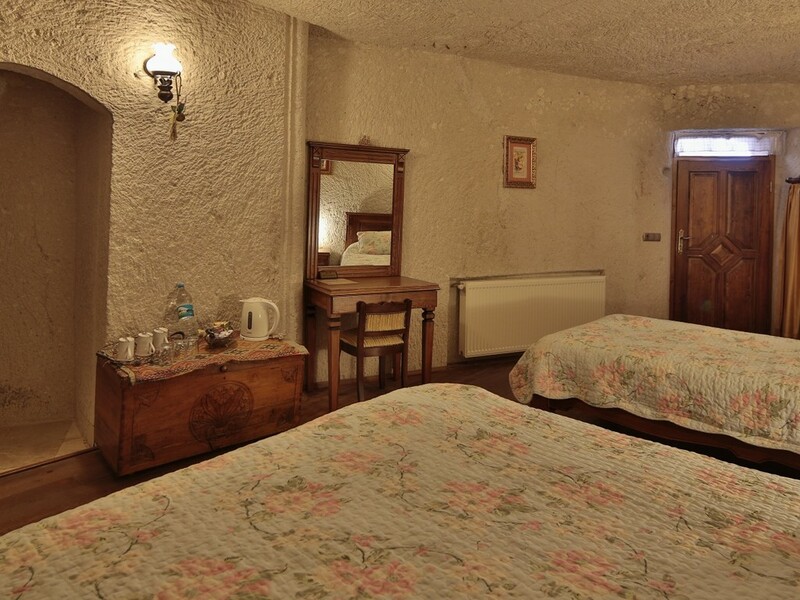 We are a family run business and we pay great attention to our guests and ensure their stay is a very comfortable one. 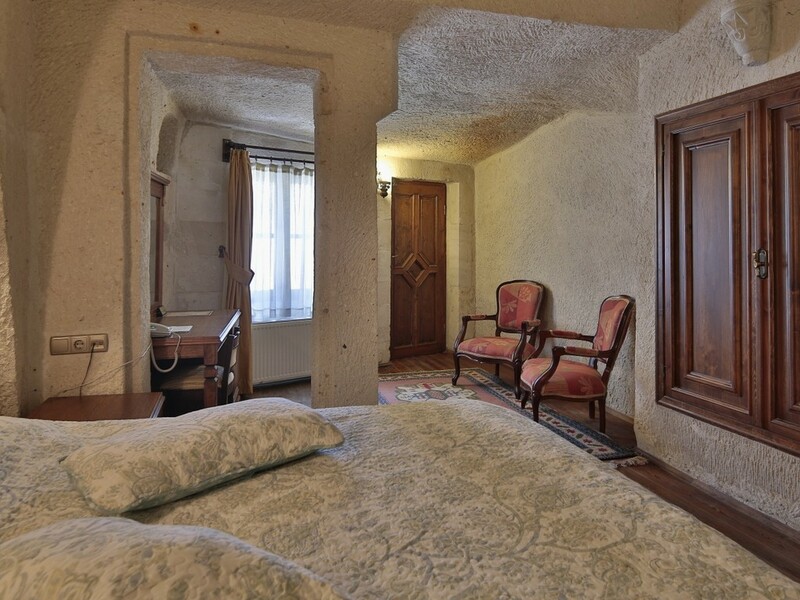 Our junior suite was once used as a stable by the residence of the old house. 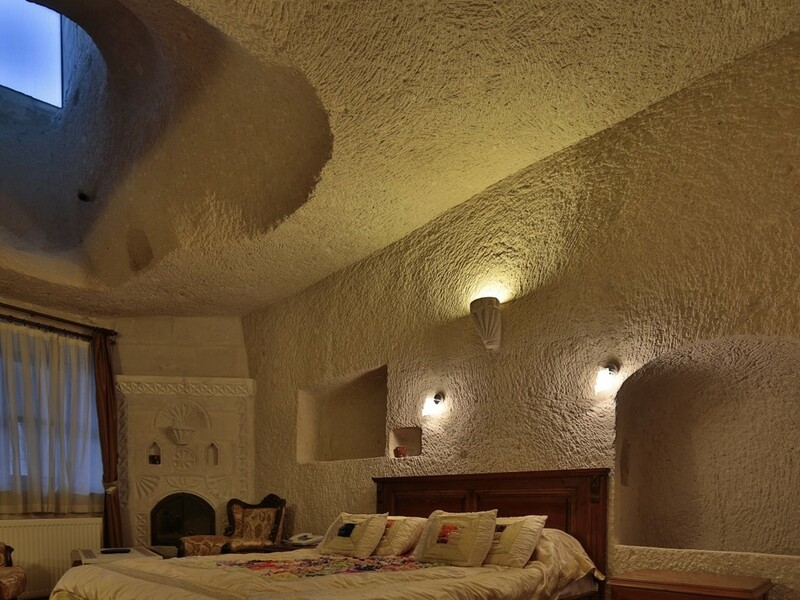 This cave room now has a double bed, desk, minibar, cupboard and private bathroom. 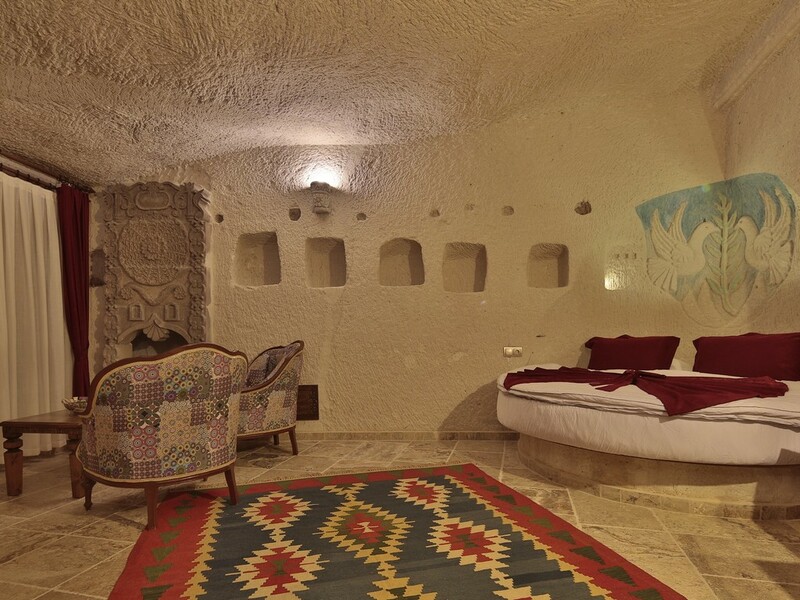 Previously used as a storage room for leaves this cave room has been refurbished for your comfort. 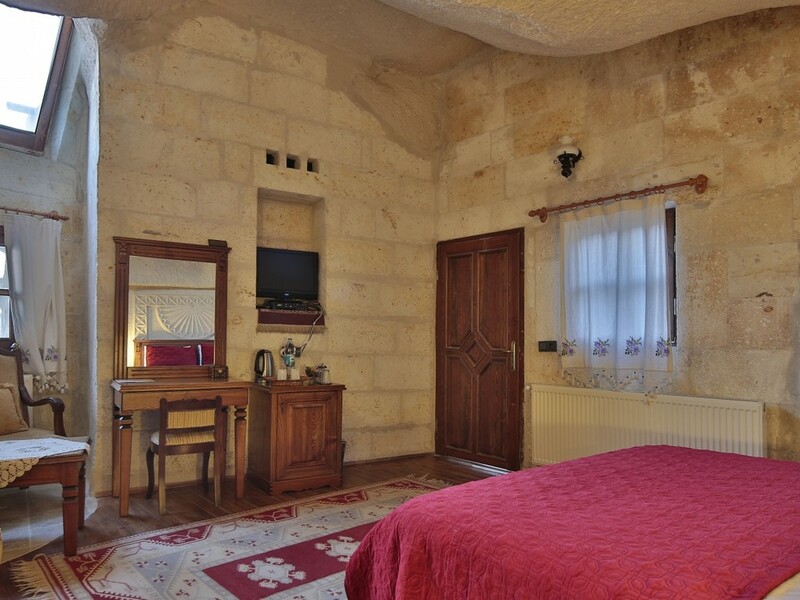 The room consists of a double and a single bed, a cupboard, minibar and private bathroom. 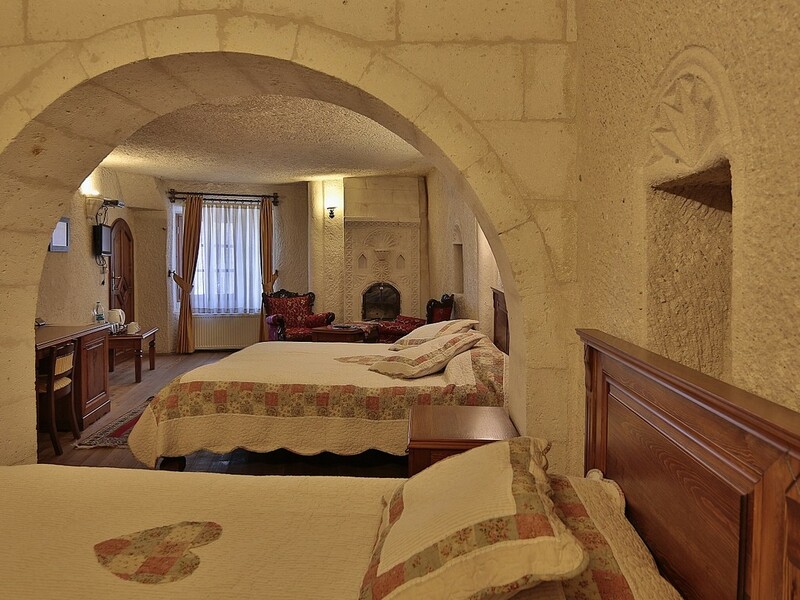 Our hotel offers 4 individual suite rooms, all from the original house. 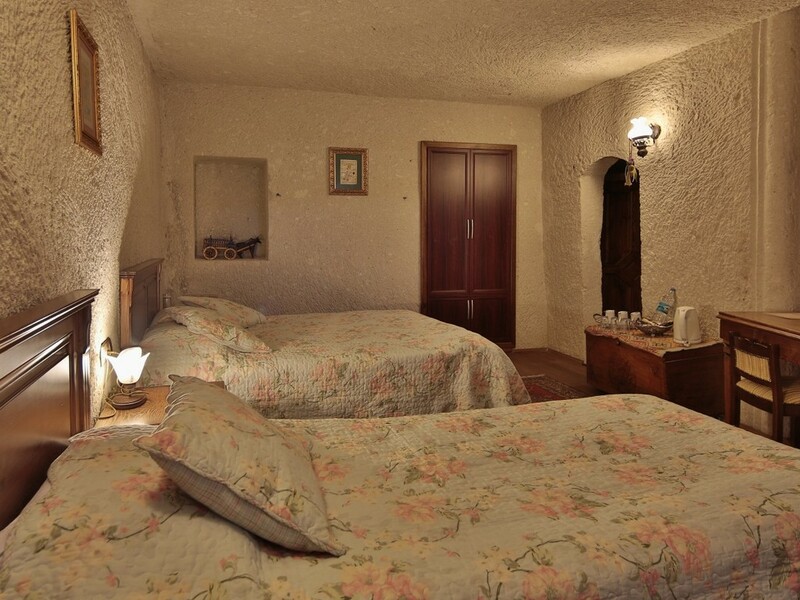 The cave rooms have been refurbished for your comfort and each contain a double bed, desk, minibar, tv, sitting area and private bathroom. 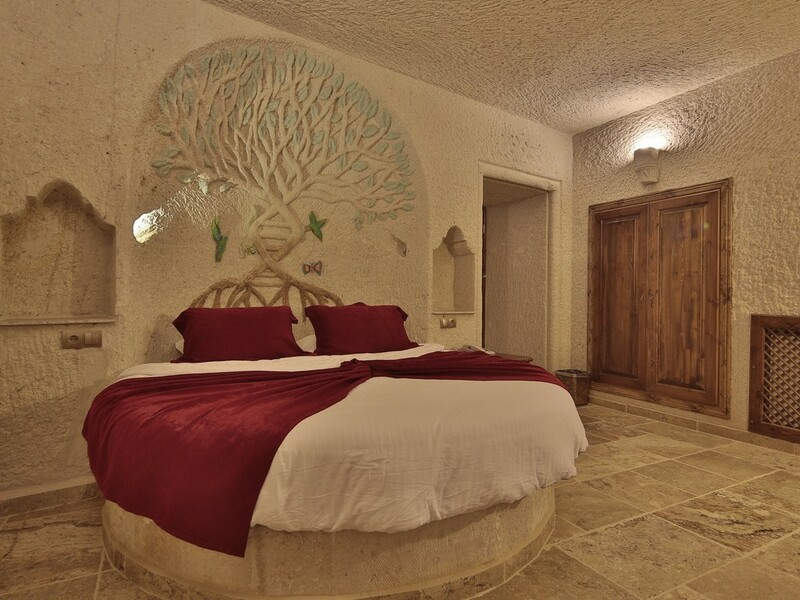 Our property features two Family Suite rooms each containing a double and a single bed. 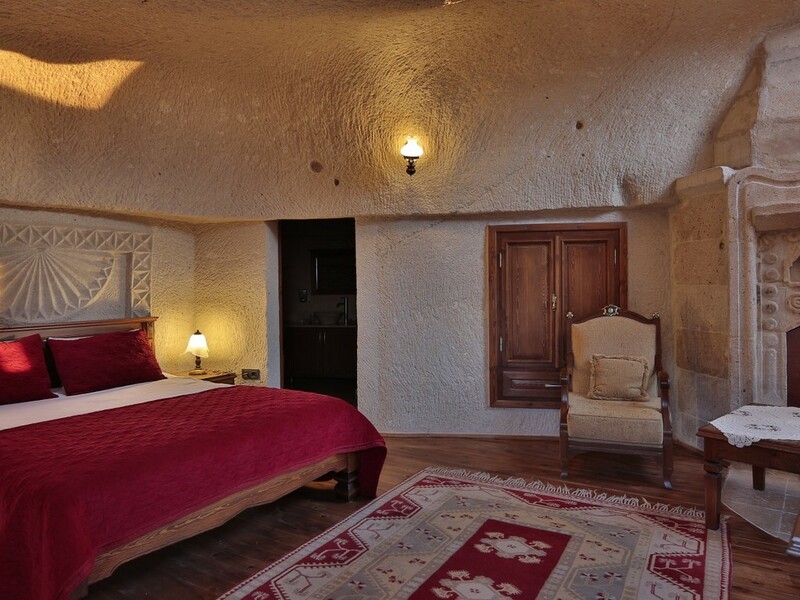 The rooms are original cave rooms offering a desk, minibar, sitting area, fireplace and private bathroom. 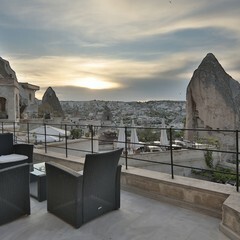 Our Deluxe Suite has been newly refurbished at the top of our hotel. 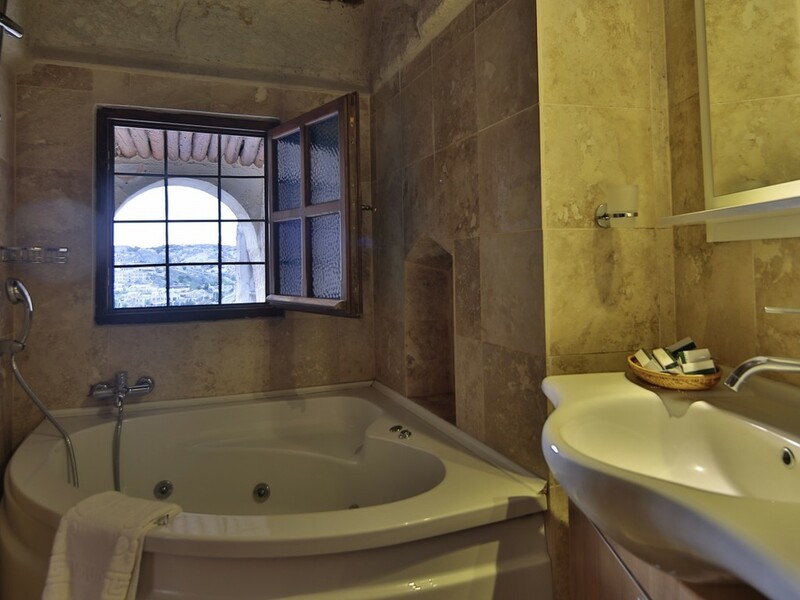 The Deluxe Suite offers a double bed, desk, mini bar, sitting area, fireplace and private bathroom with direct access to the hotels largest terrace.